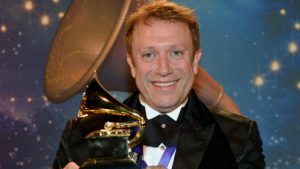 Five-time Grammy award-winning conductor Charles Bruffy has always known music was his destiny. Charles graduated in 1988 with his master’s in vocal performance and is currently the artistic director of the Kansas City Chorale since 1988 and the Phoenix Chorale since 1999, chorus director for the Kansas City Symphony Chorus since 2008 and music director at Rolling Hills Church since 1994. He conducts workshops and clinics across the U.S., including teaching at the Westminster Choir College Summer Conducting Institute since 2006. Originally from Savannah, Missouri, Bruffy graduated from Missouri Western State University with a degree in secondary education with an emphasis in piano. The call of the city drew Bruffy to Kansas City and he soon connected with the Conservatory of Music and Dance at the University of Missouri-Kansas City.